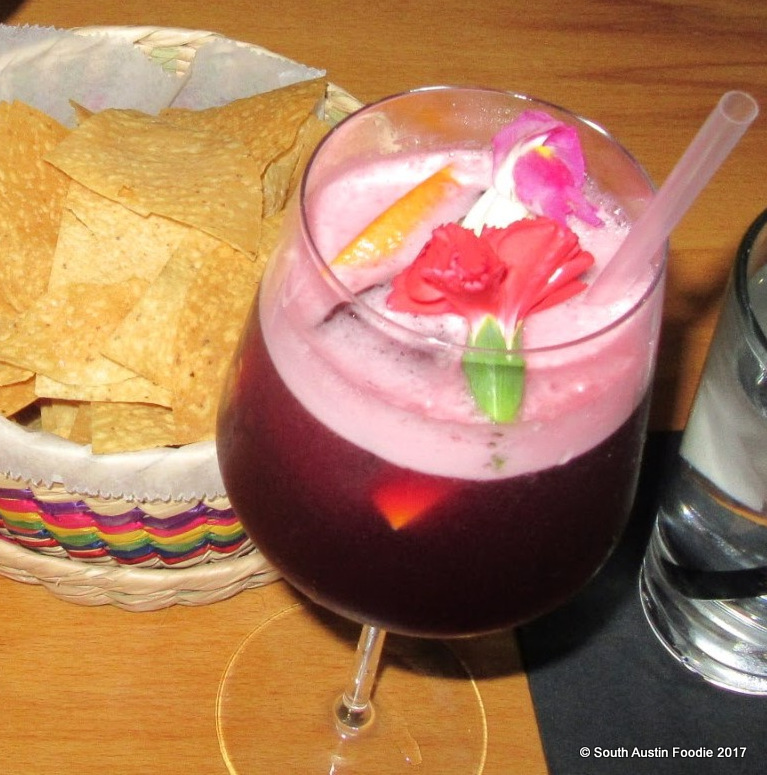 I met a friend last month at the new El Burro, sibling to VOX Table, both in Lamar Union at 1100 South Lamar Blvd. Having just opened earlier this winter, I was curious to try it and hopefully include them in my guide to the Best Mexican Food in Austin, and they did not disappoint! Plus they recently started a happy hour program, which will certainly encourage my return. We sat outside on the patio, which did have heaters (and hopefully those will turn into misters as the weather heats up), and fortunately since we were on the driveway side, the noise from the Lamar Blvd. traffic wasn't too bad. Also fun to people watch at this new, hip complex. I started with a lovely sangria and my friend a classic margarita. Okay, admittedly it's been a month since I was there, and I didn't write down what my friend had, but I think this is the carnitas taco plate with green salsa. She was rather pleased with it! Mine is definitely the al pastor! Decent corn tortillas, very nice flavor and tenderness to the pork. 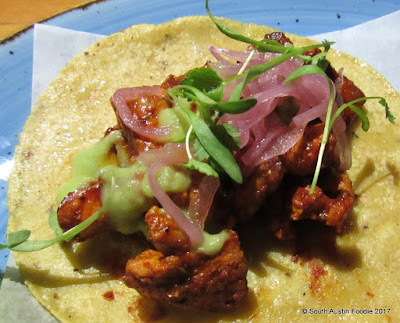 I almost always feel that al pastor tacos should have a teeny bit more pineapple than what they come with, but the pickled onions were a nice addition. 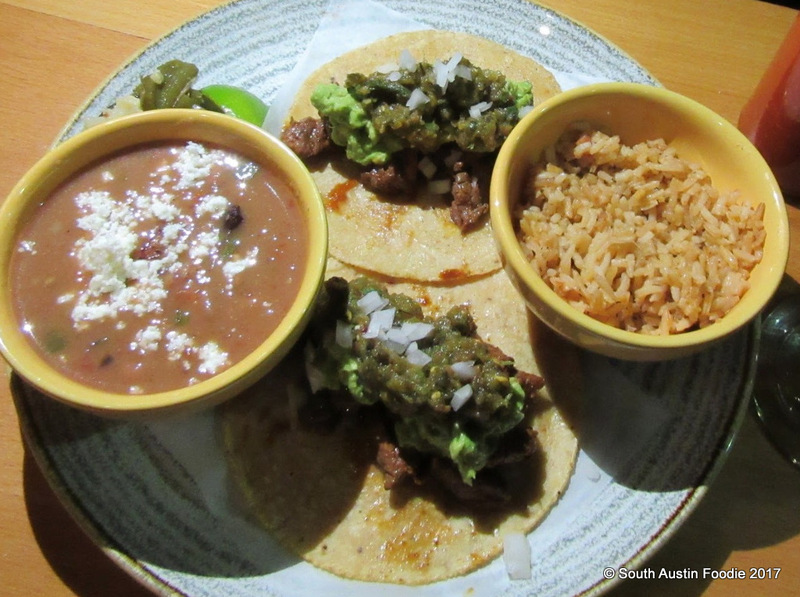 Now the menu calls this avocado salsa, but it was certainly more of a sauce than salsa. But I would still order them again! 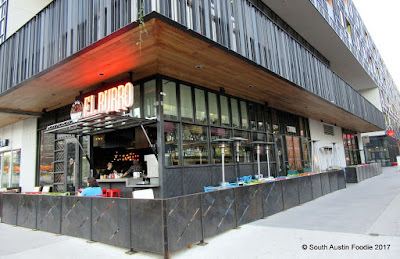 The El Burro website mentions free valet parking, and also has an online ordering feature that's coming soon. So whether you are planning on dining in or getting food to go, you've got options on how to get your El Burro fix!